How to engage, inform, and fight back against falsehoods. 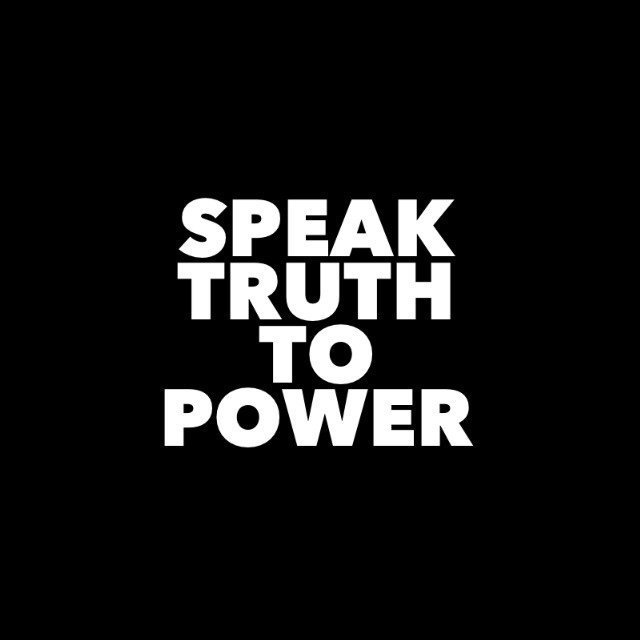 In an era of fake news, alternative facts, and downright lies, it’s a daily struggle to promote the continued benefit of our social justice work and a positive, inclusive vision for our country that’s rooted in truth and fairness. And when the loudest and most virulent falsehoods come from the highest levels of government, this challenge can feel overwhelming. Political lies are not random. Each one has a clear purpose. When pressure was growing for Attorney General Jeff Sessions to resign after falsely telling Congress he’d had no contact with Russia during the presidential campaign, President Trump tweeted, falsely, that President Obama had surveilled Trump Tower during the campaign. The news media took the bait, engaging in a feeding frenzy that has yet to subside, which obliterated the Sessions story. That was just as intended. Other lies are meant to energize the supporter base, undermine sources of accountability like the judiciary and Congressional Budget Office (CBO), or to tarnish reliable sources of information like the Bureau of Labor Statistics and respected news organizations. Still, other lies are intended to demonize vulnerable groups or political opponents. Research shows that repeating a myth, even to refute it, merely deepens the inaccuracy in the minds of your audience. Plus, many people will not have heard the myth until you've shared it with them. Linguist George Lakoff says that if you tell your audience, “Don’t think of an elephant,” there’s only one thing they’ll be thinking about—and it’s got big ears and a trunk. The Affordable Care Act represents progress for our country’s health, including expanding health care coverage to 20 million more Americans, and ensuring that pre-existing conditions and job changes don't threaten families' coverage. Anything new has to meet and improve on that foundation, or it's a threat to the health and financial security of the American people. A major lesson from the presidential campaign is that most people are immune to facts that don't fit within a narrative and a set of values to which they can relate. Pundits and journalists often think that by calling the president’s false and outrageous accusations “unprecedented,” “stunning,” or “remarkable,” they are somehow discrediting them. But it is, and always has been, his aim to be stunning, unprecedented, and a disrupter of the D.C. establishment. More words, to be sure, but those words tell your story, which is the point, after all. For non-experts who may be consuming the information you put out, it can be hard to process the meaning and impact of accurate numbers and data. Consider using social math, which places numbers in a context that is more easily understood—and believed—by a variety of audiences. Diversity is one of our country’s greatest strengths, and the same is true when it comes to public safety. Border cities like El Paso and San Diego with thriving immigrant populations are among the safest large cities in the country. And several studies have shown that, as an immigrant population increases, incidents of crime actually decrease. Over time, that’s made reporters more likely to demand evidence from people making those claims, and when the claims are made on air, to immediately inform audiences that there’s no evidence to support them. Those conversations should be had behind the scenes with reporters, rather than during an interview that runs the risk of further spreading or deepening the myth with audiences. Many people consider friends and family to be their most trustworthy source of information. That means it's important for people who've embraced facts and the truth to share that information with others—in ways that follow the other lessons outlined here. Nearly all of us have constitutents and members in our networks who are struggling with the barrage of claims, accusations, and data thrown about in the current political environment. And we now have the tools, particularly social media, to engage and inform them (and be informed by them) wherever they are. But try not to be a nag.